The top Grandmaster hailing from Israel, Boris Gelfand is a World Championship challenger and winner of around 30 international tournaments. His strong positional style and ability to make only minor mistakes helps him to be one of the world’s best players. Learning from the Tigran Petrosian School, Gelfand rocketed to the top of the rating charts and has never looked back. 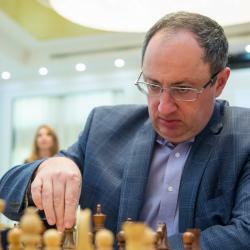 Boris Gelfand learned to play chess when he was 4 years old. When he was a bit older, he went to the Tigran Petrosian School, met the former world champion and got some advice that he remembers to this day: “Never make a single move without having an idea”. As a young player he won titles such as the Junior Champion of the Soviet Union, European Junior Champion and World Junior Champion. He became an International Master in 1987 and a Grandmaster in 1989. During his chess career he has won around 30 tournaments and placed very high in many other ones. He played in many Candidates Tournaments which were tournaments used to find a challenger for the World Championship. It wasn’t until 2012 that he played well enough to get to the finals and face the World Champion. In order to do this, he had to win multiple mini-matches against some of the world’s toughest players. He did this and faced off against Viswanathan Anand in the World Championship match but lost to him in the title match. His strong positional ability and skill of hardly ever making mistakes allows him to continue to be one of the strongest players in the world to this day.